Super Mega Baseball 2 is definitely a “must have” (undeniably true on Xbox One where it’s currently free) and just two weeks into its release Metalhead Software has delivered the first patch for the game. 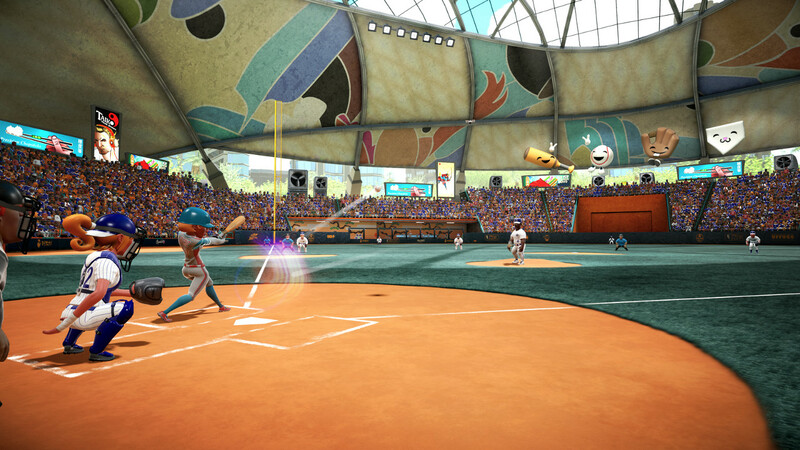 The original Super Mega Baseball was patched a few times and even got some new stadiums added but none of the individual updates were as substantial as this first one for the sequel. Some of the changes made came out of feedback during the beta period while other areas were identified and prioritized in the time since. ♦Netcode changes to substantially improve perceived latency, especially when fielding. ♦Improvements to fielder selection behavior in online games. ♦Added alternative method to measure data center latency; play when ICMP traffic blocked. ♦Reduce jitter in ball flight-path on certain types of hits in online games. ♦Improvements to network pitching mechanic when network latency is very high. ♦Adding option to always mute voice chat in Pennant Race. ♦Also mute self when muting opponent in Pennant Race. ♦More aggressively report poor network connection quality. ♦Minor improvements to pitching, batting and umpire animations. ♦Added a more noticeable notification when baserunners are stealing. ♦Improved positioning of pitch feedback notifications in the HUD. ♦Display notification when a remote player changes their Ego mid-game. ♦Ensure “FAIR BALL” is displayed for non-obvious dribblers near home plate. ♦Improved behavior of base runners when rounding bases. ♦Minor improvements to AI starting lineup selection. ♦Minor improvements to AI defensive positioning. ♦Improved AI relayed throw behavior. ♦Improved AI defensive behavior when the winning run is coming home. ♦Added left/right paging in the season mode stats screen. ♦Increased enthusiasm of crowd audio. ♦Minor improvements to collision meshes in all stadiums. ♦Ensure home stadiums are assigned as equally as possible when generating new leagues. ♦Various tweaks to balance how Mojo changes over time. ♦Improved asset packaging to reduce the download size of future patches. ♦Fixed: ‘Backstop’ bug where the ball appears to go to the backstop but then suddenly appears in play in online games. ♦Fixed: Bug where a strike could be ruled even after the ball is batted into play in online games. ♦Fixed: Potential hang after a server disconnection in a Pennant Race game. ♦Fixed: Ball trail occasionally being visible when the ball is returned to the pitcher upon play reset. ♦Fixed: Instances in which an error message could incorrectly indicate a loss was being recorded after a Pennant Race disconnect. ♦Fixed: Bug where the lineup doesn’t get reset when playing back-to-back season/elimination games on the same home/away side. ♦Fixed: Potential stray UI widgets in some cases. ♦Fixed: Potential server disconnections due to low amounts of network traffic. ♦Fixed: Bug in season mode where changing the position of the pitcher in the batting order may cause save data to become corrupt. ♦Fixed: Potential save data issues (Sorry Slugger). ♦Fixed: Bug where a hit may not be recorded in the stats if it was the last play of the game. ♦Fixed: Potential crash in pause menu when selecting a disabled menu item. ♦Fixed: Incorrect “Starting Pitcher” warning when the default relief pitcher is selected after pinch hitting for your starting pitcher. ♦Fixed: Bug where a ball could be ruled both out of play (calling the play dead) and a home run, typically when the ball hits a foul pole. ♦Fixed: Potential redundant display of help pop-ups. ♦Fixed: Potential crash when entering the season hub after visiting “customize league”. ♦Fixed: Only award “#Ego 99 Challenge” achievement if the entire game has been played at 99. ♦Fixed: Potential crash in team selection screen. ♦Fixed: Potential crash when entering the play menu.